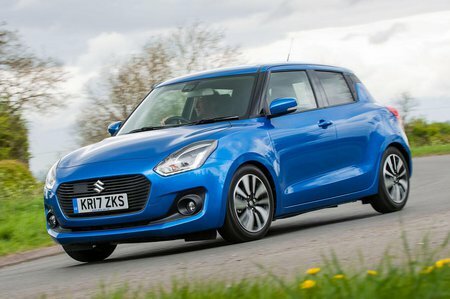 Suzuki Swift Boot Space, Size, Seats | What Car? It may not be a big car, but the extra 40mm that’s been added to the Swift’s width helps the front feel surprisingly spacious. You won’t be rubbing up against a passenger and you can push the seat back a decent amount if you’re tall. The front seats also go low enough for even tall drivers to have enough head room. Storage is good, too. The glovebox is a decent size and the door pockets are big enough to carry a 500ml bottle upright as well as the typical assortment of receipts, mints and other junk commonly found there. You also get a pair of cupholders, a smartphone-sized shelf and a tray perfect for loose change behind the gearlever. 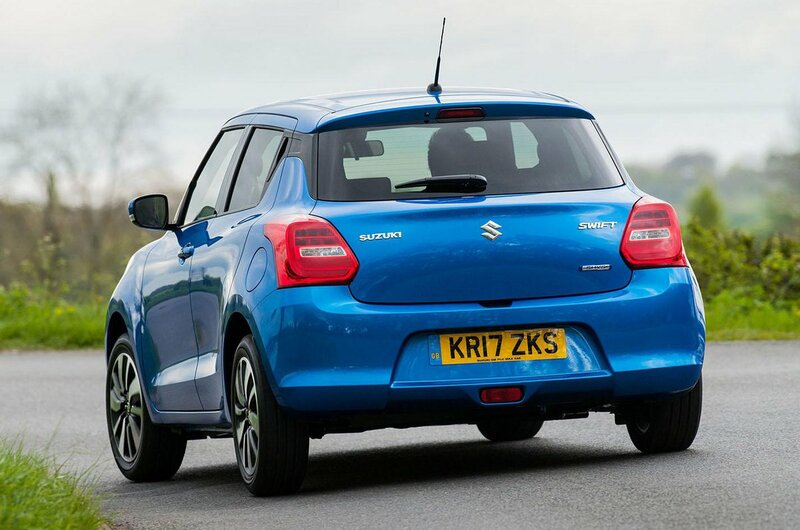 The Suzuki Swift is by no means a class-leading small car for rear space, but it certainly offers a generous amount of room for adults: two will sit with their knees free of the front seatbacks and their heads some distance from the ceiling. That said, three adults side-by-side will struggle to stay comfortable on a long journey, and the rear windows could be a little deeper than they are to allow a better view out for rear passengers. It’s not outright claustrophobic, though. All Swifts come with five doors, and Suzuki has placed the Swift’s rear door handles near the top of the door this time around. Happily, the rear doors open nice and wide to reveal very good access to the rear seats. So, compared with a Fiat 500, or even Ford Fiesta, the Swift is more accommodating in the back, but rivals such as the Skoda Fabia do an even better job of ferrying rear passengers. Don’t expect anything special from the Swift here; the seats fold with a 60/40 split as standard but that’s about as flexible as it gets. 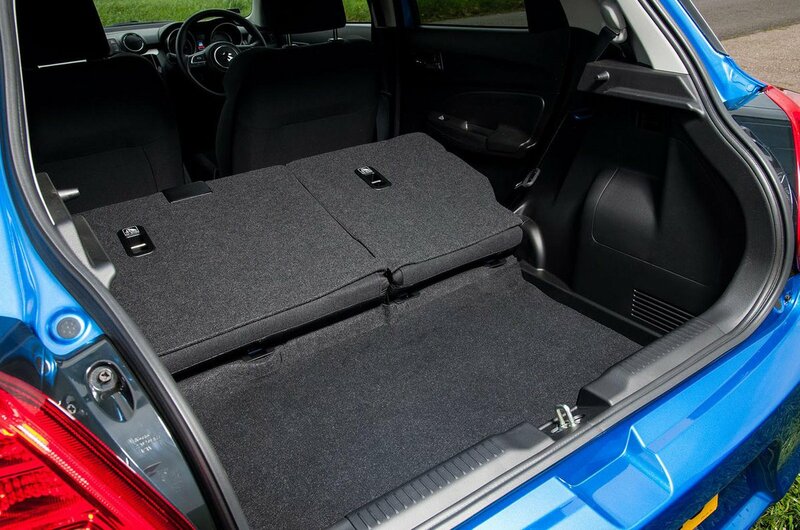 The rear seatbacks don’t recline for a more comfortable position and once folded down the rear seats leave a fairly pronounced step up in the boot floor to navigate long items over. The boot is significantly bigger than before, up from a pokey 211 litres to a not quite so small 265. That makes it better than a Mini, but worse than the Fiesta and significantly down on the cavernous Skoda Fabia. There’s ultimately enough room for a week’s worth of shopping although you’d need to fold the seats down to get a pushchair back there. Furthermore, given the Swift’s fairly pronounced boot lip, it’d be useful if Suzuki had included a boot divider or adjustable boot floor.